Enjoy Summer Fireworks from the comfort of our Harbor Lights villa. 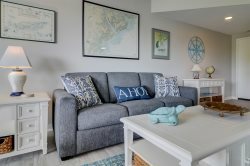 Captains Quarters is fast becoming a favorite destination for couples and families looking for a unique experience on Hilton Head Island. Enjoy amazing sunsets, gorgeous water views, boating activities and tropical wildlife just outside your door. Captains Quarters has its own waterfront pool (if you want a change from the beach). Best of all, you can walk to everything in Shelter Cove and the beach is only 3/4 mile away! We have rented several times through Trident Rentals. The location of this condo is perfect for us. We look forward to renting this unit again soon. Thanks for all of your help in making our trip to HHI for the Heritage Golf Tournament great! We have dealt with Cele for many years, and she has become a trusted and wonderful friend. Deb is very efficient and friendly. The staff at Trident Villa rental are excellent . We were provided with accurrate and detailed i formation regarding the rental pool and the unit we chose . The agent went out of her way to assist us with some personal banking requests ( we are Canadian ) and when a plumbing problem suddenly occurred in our unit it was inspected immediately and fixed within a day . We were impressed by the committment of Trident agents to provide personalized service to meet our needs and ensure our stay in their unit was a great experience . 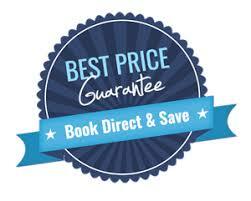 We will be booking with them again and have already recommended them to friends . Thanks esp. to Debbie for your assistance . The Unit is lovely and if was not already engaged for the same period next year we would have booked it .